Laurie Hernandez is making history, as not only the youngest member of the 2016 U.S. Women's Olympics gymnastics team but also as the first Puerto Rican gymnast to represent the U.S. at the games. The 16-year-lold joins Gabby Douglas, Simon Biles, Aly Raisman, and Madison Kocian on what is expected to be one of the strongest U.S. gymnastics teams ever. 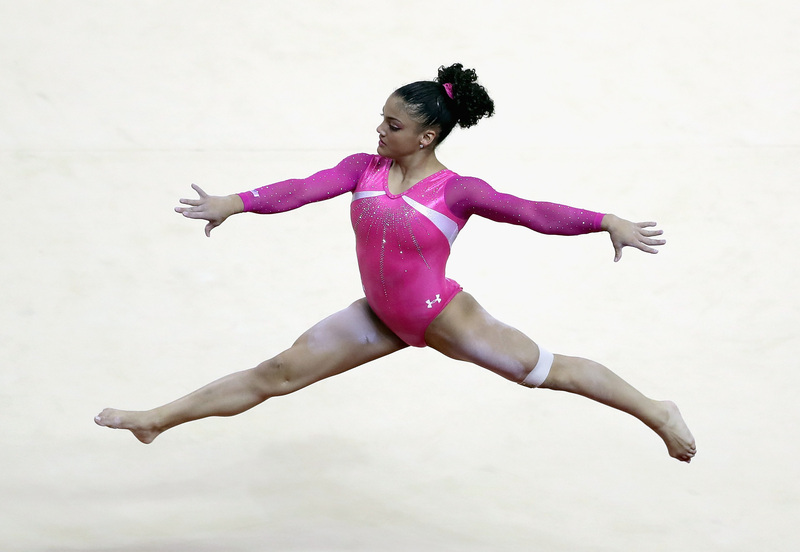 At the Olympic trials in San Jose, California, Laurie Hernandez wowed the crowds with her impressive floor routines. She earned a score of 15.300 for her performance, and also won the hearts of the supporters and fans in the stands, and she will carry that momentum with her to Rio. It's Hernandez's personality that has made her not only a strong contender to medal at this year's Olympics, but it's also what makes her floor routines so electric. She's extremely exuberant, making her so fun to watch, as she brings her passion onto the floor. In an interview during the trials with the Los Angeles Times, Hernandez said that the floor routine was her favorite event: "Something about it pulls out my personality," she said. Hernandez started training with her gymnastics coach Maggie Haney very young, at the age of five, but she had been a dancer before, and still loves to bring that dancer's edge to her floor sets. Above, is a video of Hernandez at the 2016 P&G championship, and you can watch her trials routine here. But Cox is far from the only one loving Hernandez's floor routines. Good luck to Laurie and the rest of Team USA as they head to Rio!